In RoboCop, the year is 2028 and multinational conglomerate OmniCorp is at the center of robot technology. 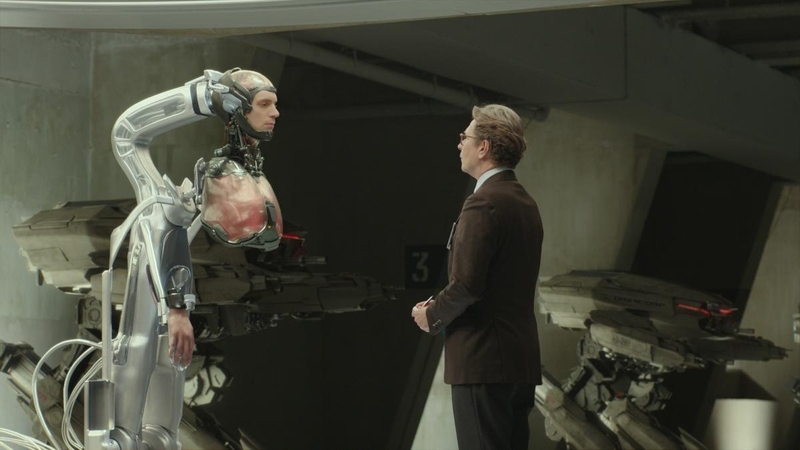 Overseas, their drones have been used by the military for years – and it’s meant billions for OmniCorp’s bottom line. Now OmniCorp wants to bring their controversial technology to the home front, and they see a golden opportunity to do it. When Alex Murphy (Joel Kinnaman) – a loving husband, father and good cop doing his best to stem the tide of crime and corruption in Detroit – is critically injured in the line of duty, OmniCorp sees their chance for a part-man, part-robot police officer. OmniCorp envisions a RoboCop in every city and even more billions for their shareholders, but they never counted on one thing: there is still a man inside the machine pursuing justice. A remake from 1987 (before I was born! ), I thought a review of the film as its own (instead of comparing with the original) will be more apt, since I’ve never caught the original and that the technology had advanced tremendously over the past 27 years to make a fair comparison. This is one of the films that was able to give me goosebumps with just their special effects. Swedish-American actor Joel Kinnaman delivered an engaging performance, especially at the part where he became conscious and discovered what’s left of his body. Seriously, I can totally imagine myself going berserk if that happened to me. Which led me to think about the question of Euthanasia. Will I make the same decision as Murphy’s wife, Clara (Abbie Cornish), or will I let go? Letting go is definitely a tough decision, but imagine the horror of seeing your own husband alive, left with only a pair of lungs, heart, face and… brain? Gary Oldman managed to give the audience the image of sympathetic Dr. Dennett Norton, who was humane yet secretly and crazily awed by what he can do with the human brain. He can get away with anything and not be blamed with his perfectly restrained performance. 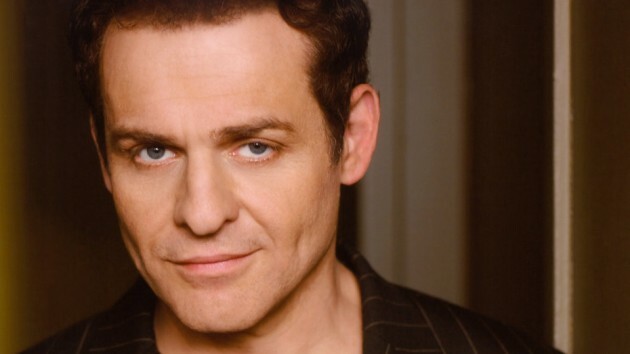 The other character who caught my attention was Patrick “Pat” Novak, host of The Novak Element (Nick Fury in Avengers). 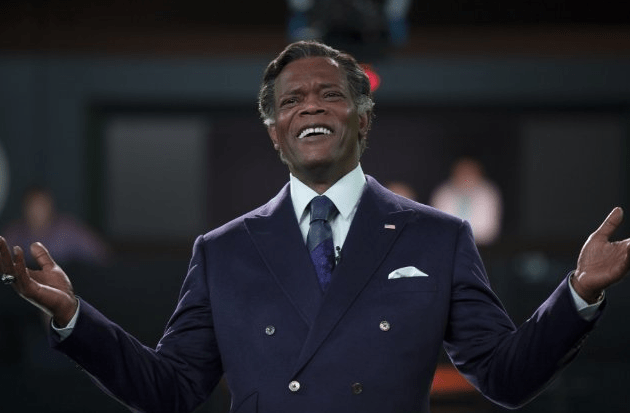 A contrast to his cool and nice role in Avengers, Pat Novak is now a charismatic and pro-robot host who is able to turn any situation to his benefit. I like how there’s no real super-villain in the film. It was entertaining to look at the decision making, and how freedom of choice was manipulated at the corporate level. 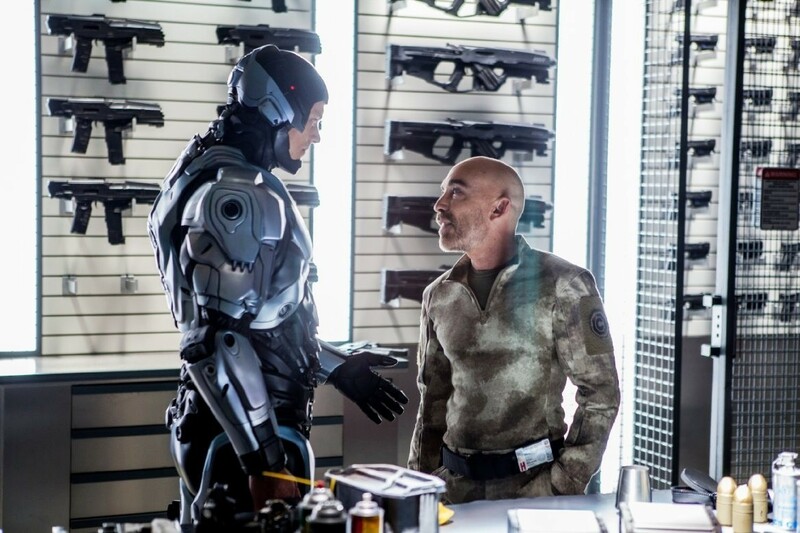 The military tactician Mattox (Jackie Earle Haley) hated RoboCop because he loved Robots, you can’t fault him for that. While ex Batman, Michael Keaton became really Bad, by becoming the CEO of OmniCorp Raymond Sellars, who oddly, reminded me of some politician or leader whose name was lost at the back of my mind. 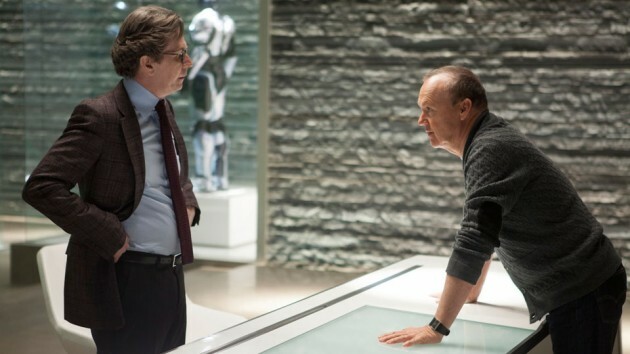 Michael Keaton and Gary Oldman both starred in the “Batman” film franchise. Michael Keaton played Bruce Wayne/Batman in Batman (1989) and Batman Returns (1992) and Gary Oldman played Commissioner Jim Gordon in Christopher Nolan’s “Batman” trilogy. Daniel Kash, cast as Detroit policeman John Lake, previously had a recurring role as in the RoboCop (1994) TV series. 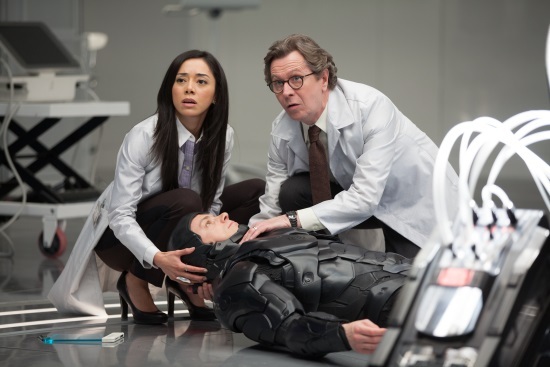 Michael Fassbender, Matthias Schoenaerts, and Russell Crowe were considered to play RoboCop. Dr. Norton’s first name is Dennett, which is the last name of philosopher Daniel Dennett, who is famous for his work on consciousness and free will, both of which are key themes in the movie. Daniel Dennett argues that consciousness is an illusion created by layers of physical and chemical processes, and that consciousness is essentially computational. He nonetheless argues that his view is compatible with the idea of free will. Rebecca Hall turned down the role of Clara Murphy, while Jessica Alba, Keri Russell, and Kate Mara auditioned. This is the first Hollywood film by Brazilian director José Padilha. 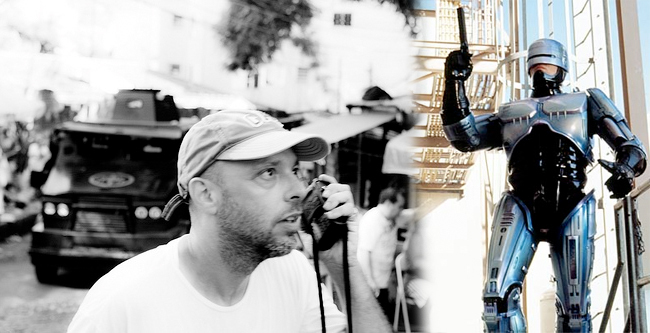 Check out Robocop (2014) Official Website and Facebook Page! 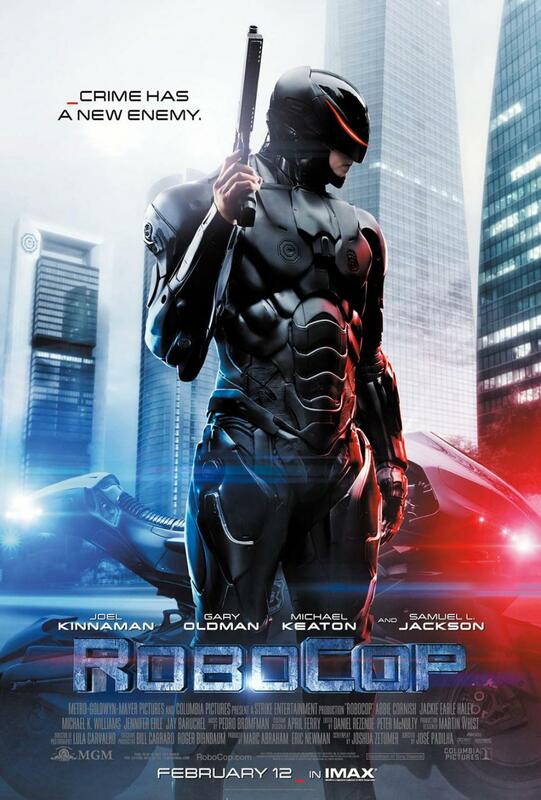 Robocop (2014) will be in cinemas on 30 January 2014. Next up, you can go watch Stephen Chow’s “Sixty Million Dollar Man” movie from 1995. Hihi, why? Is it similar to Robocop?